Alitretinoin is a retinoid that is potentially dangerous when orally administered due to its teratogenicity. Because of this potential toxicity, its Canadian labeling states that it should be prescribed only by physicians knowledgeable in the use of systemic retinoids and who understand the risks of teratogenicity in females of childbearing potential. In addition, these females are required to have pregnancy tests before, at regular intervals during, and after discontinuation of alitretinoin therapy to exclude pregnancy. 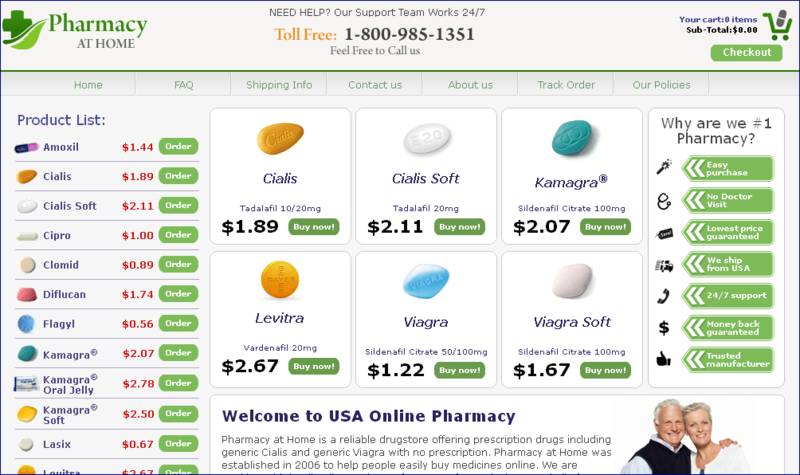 Because Toctino is unapproved in the United States, these safety controls are bypassed when alitretinoin is purchased over the Internet by customers in the United States without consultation with and a valid prescription from a physician. This places American patients who use the drug at risk for adverse effects. Thus, Toctino offered for sale on your website is misbranded within the meaning of section 502(f)(1) of the FD&C Act [21 U.S.C. §321(f)(1)] in that the labeling for Toctino fails to bear adequate directions for use. The introduction or delivery for introduction into interstate commerce of a misbranded drug product is a prohibited act under section 301(a) of the FD&C Act [21 U.S.C. §331(a)]. The Center for Tobacco Products of the Food and Drug Administration (FDA) recently reviewed the website http://www.cigarettesbuyonline.com, and determined that the cigarette products listed are offered for sale to U.S. customers. Under section 201(rr) of the Federal Food, Drug, and Cosmetic Act (the FD&C Act) (21 U.S.C.§ 321(rr)), as amended by the Family Smoking Prevention and Tobacco Control Act, these products are tobacco products because they are made or derived from tobacco and intended for human consumption. Certain tobacco products, including cigarettes, are subject to FDA jurisdiction under section 901(b) of the FD&C Act (21 U.S.C. § 387a(b)). FDA has determined that several of your products are adulterated under section 902(8) of the FD&C Act (21 U.S.C. § 387b(8)) because you promote them as modified risk tobacco products without an FDA order in effect that permits such promotion. Additionally, FDA has determined that your “Aroma Rich Apple” and “Aroma Rich Rum Cherry” cigarettes are adulterated under section 902(5) of the FD&C Act (21 U.S.C. § 387b(5)) or misbranded under section 903(a)(1) of the FD&C Act (21 U.S.C. § 387c(a)(1)). You can find the FD&C Act through links on FDA’s homepage at http://www.fda.gov. 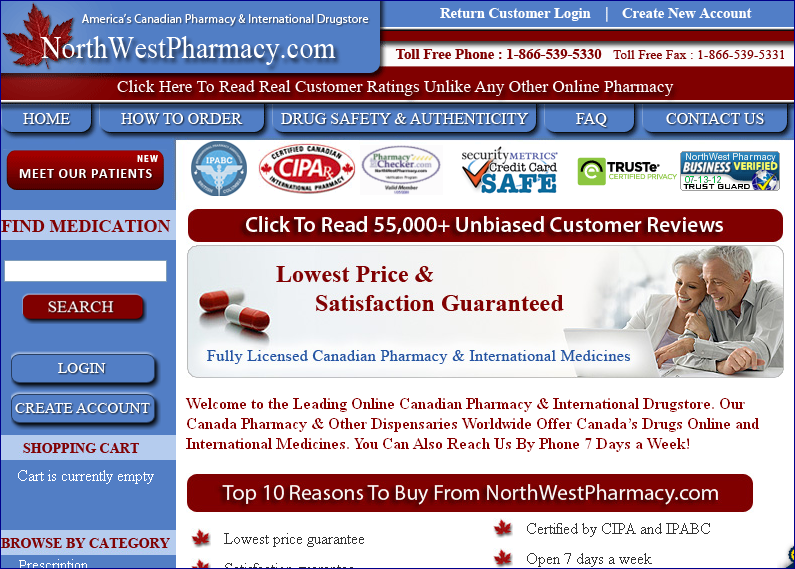 You describe products that you offer for sale on the website http://www.cigarettesbuyonline.com as being “Light” or “Ultra-Light” by referring to them as such in product advertising. Specifically, our review of the website revealed that you offer for sale the following cigarettes described as “Lights”: Bond Special Selection, Camel Blue, Chesterfield Classic Blue, Davidoff Gold, Dunhill Fine Cut Dark Blue, Kent Blue Futura No. 8, Lucky Strike Original Silver, Marlboro Gold, Parliament Aqua Blue, Winston Blue, Winston Super Slims Blue 1 DO’s, Magna Balanced Blue, More Balanced Blue, Pall Mall Blue, Sobranie Blue, Sobranie White Russian, and Viceroy Blue. Our review of the website revealed that you offer for sale the following cigarettes described as “Ultra-Lights”: Bond Fine Selection, Camel Silver, Chesterfield Classic Bronze, Davidoff Blue, Dunhill Fine Cut Azure, Kent Silver Neo No. 4, L&M Silver Label, Parliament Silver Blue, Vogue Super Slims Lilas 100s, Winston Silver, Camel Black Mini, Marlboro Silver, More Subtle Silver, Pall Mall Azure, Sobranie Gold, and Viceroy Silver. A tobacco product with a label, labeling, or advertising that uses the descriptor “light,” “mild,” or “low,” or a similar descriptor, is a “modified risk tobacco product” under section 911(b)(2)(A)(ii) of the FD&C Act (21 U.S.C. § 387k(b)(2)(A)(ii)). Under section 911(a) of the FD&C Act (21 U.S.C. § 387k(a)), no person may introduce or deliver for introduction into interstate commerce any modified risk tobacco product without an FDA order in effect under section 911(g) of the FD&C Act 21 U.S.C. § 387k(g)). A product that is in violation of section 911(a) of the FD&C Act (21 U.S.C.§ 387k(a)) is adulterated under section 902(8) of the FD&C Act (21 U.S.C. § 387b(8)). Because the website uses the descriptor “light” or similar descriptors for the above-listed products, the products are modified risk tobacco products. Because these products are offered for sale to U.S. customers without an appropriate FDA order in effect under section 911(g) of the FD&C Act (21 U.S.C. § 387k(g)), these products are adulterated under section 902(8) of the FD&C Act (21 U.S.C. § 387b(8)). [A] cigarette or any of its component parts (including the tobacco, filter, or paper) shall not contain, as a constituent (including a smoke constituent) or additive, an artificial or natural flavor (other than tobacco or menthol) or an herb or spice … that is a characterizing flavor of the tobacco product or tobacco smoke. As of September 22, 2009, cigarettes marketed and sold in the United States in violation of this provision are adulterated under section 902(5) of the FD&C Act (21 U.S.C. § 387b(5)). Thus, your flavored cigarettes are adulterated. If, however, these cigarettes do not contain a characterizing flavor, they are misbranded under section 903(a)(1) of the FD&C Act (21 U.S.C. § 387c(a)(1)) as their labeling is false and misleading because it makes the representation that the products contain apple, or rum cherry as characterizing flavors of the tobacco products. You should immediately correct the violations stated above and take any necessary actions to bring your tobacco products into compliance with the FD&C Act. The violations discussed in this letter do not necessarily constitute an exhaustive list, and it is your responsibility to ensure that your tobacco products on this website, or any other websites you own, operate, and/or control, comply with the applicable provisions of the FD&C Act. Failure to ensure full compliance with the FD&C Act may result in FDA initiating further action without notice, including, but not limited to, civil money penalties, no-tobacco-sale orders, criminal prosecution, seizure, and/or injunction. Please note that adulterated and misbranded tobacco products offered for importation into the United States are subject to detention and refusal of admission. Please submit a written response to this letter within 15 working days from the date of receipt describing your corrective actions, including the dates on which you discontinued the violative promotion, advertising, sale, and/or distribution of these tobacco products. If you have any questions about the content of this letter, please contact Ele lbarra-Pratt at (301) 796-9235 or via email at Elenita.lbarraPratt@fda.hhs.gov. The Center for Tobacco Products of the Food and Drug Administration (FDA) recently reviewed the website http://www.buycheaptobacco.net, and determined that the cigarette products listed are offered for sale to U.S. customers. Under section 201(rr) of the Federal Food, Drug, and Cosmetic Act (the FD&C Act) (21 U.S.C. § 321(rr)), as amended by the Family Smoking Prevention and Tobacco Control Act, these products are tobacco products because they are made or derived from tobacco and intended for human consumption. Certain tobacco products, including cigarettes, are subject to FDA jurisdiction under section 901(b) of the FD&C Act (21 U.S.C. § 387a(b)). FDA has determined that several of your products are adulterated under section 902(8) of the FD&C Act (21 U.S.C. § 387b(8)) because you promote them as modified risk tobacco products without an FDA order in effect that permits such promotion. You can find the FD&C Act through links on FDA’s homepage at http://www.fda.gov. You describe products that you offer for sale on the website http://www.buycheaptobacco.net as being “light” or “ultra-light” by referring to them as such in product advertising and adding the qualifiers “Lights,” “Ultra-Lights,” to the product names. Specifically, our review of the website revealed that you offer for sale the following cigarettes described as “Lights”: Bond Special Selection, Camel Blue, Chesterfield Classic Blue, Davidoff Gold, Dunhill Fine Cut Dark Blue, Kent Futura No. 8, Lucky Strike Original Silver, Marlboro Gold, Pall Mall Blue, Parliament Aqua Blue, Winston Blue, Winston Super Slims Blue 100s, Magna Balanced Blue, More Balanced Blue, Sobranie Blue, Sobranie White Russian, and Viceroy Blue. Our review of your website revealed that you offer for sale the following cigarettes described as “Ultra-Lights”: Bond Fine Selection, Camel Silver, Chesterfield Classic Bronze, Davidoff Blue, Dunhill Fine Cut Azure, Kent Silver Neo No. 4, L&M Silver Label, Parliament Silver Blue, Vogue Super Slims Lilas 100s, Winston Silver, Camel Black Mini, Marlboro Silver, More Subtle Silver, Pall Mall Azure, Sobranie Gold, and Viceroy Silver. A tobacco product with a label, labeling, or advertising that uses the descriptor “light,” “mild,” or “low,” or a similar descriptor, is a “modified risk tobacco product” under section 911(b)(2)(A)(ii) of the FD&C Act (21 U.S.C. § 387k(b)(2)(A)(ii)). Under section 911(a) of the FD&C Act (21 U.S.C. § 387k(a)), no person may introduce or deliver for introduction into interstate commerce any modified risk tobacco product without an FDA order in effect under section 911(g) of the FD&C Act (21 U.S.C. § 387k(g)). A product that is in violation of section 911(a) of the FD&C Act (21 U.S.C. § 387k(a)) is adulterated under section 902(8) of the FD&C Act (21 U.S.C. § 387b(8)). Because the website uses the descriptor “Light,” or similar descriptors for the above-listed products, the products are modified risk tobacco products. Because these products are offered for sale to U.S. customers without an appropriate FDA order in effect under section 911(g) of the FD&C Act (21 U.S.C. § 387k(g)), these products are adulterated under section 902(8) of the FD&C Act (21 U.S.C. § 387b(8)). If you have any questions about the content of this letter, please contact Ele Ibarra-Pratt at (301) 796-9235 or via email at Elenita.IbarraPratt@fda.hhs.gov. I knew this sounded too good to be true. I just updated my employment profile on linked in and another job hunting website, and I got the below series of emails. After researching the company, I searched for “national employer database’ and came across several other emails the same but different companys. I have tried calling the number listed on the website in his signature and its a voicemail service. A google search of the address does not list the company in that building. It is also very unusual for an australian company to have health plans. So i Think this is a scam? Anyone else come across this? My name is Aaron Tolmie, I work for Ausevro Finance Pty. Ltd. I have recently found your resume in the national database for Australian employers and I hope I can interest you with our Customer Service Representative position. *****, this is an immediate opportunity with complete ongoing training. Well paid. Full benefits package. Flexible. Both P/T and F/T schedules are available. I know that you are not located in ACT (we are based in Kingston, ACT), but that’s not an issue, because we are looking for Customer Service Representative exactly in your area. *****, if you are still looking for a new career, please let me know immediately and I will send you more details. Thanks for your email. I am still looking for a customer service position, and have just had a look at your website. I would be interested to find out more about the position mentioned below – I am located on the Gold Coast in the oxenford area. I am glad that you’re interested to learn more about the Customer Service Representative vacancy. Ausevro Finance Pty. Ltd. is the provider of the powerful transaction management platform in Australia. Our platform allows large companies with nationwide networks to accept tens of payment methods and process thousands of payments per seconds. We already have many big clients in Australia including banks and telecom companies. Our platform represents very flexible system, which can process any kind of transaction method. It allows customers and users to perform any kind of transfer from one money system to another in no time. Our system enables clients to broaden the variety of accepted payment methods, to reduce the transaction time and to make the whole payment operation highly secured. *****, you may always learn more about Virtual Ausevro and our services at http://www.ausevro.com. Our clients are banks and telecom companies. They require us to provide them with the certified Customer Service Representatives. First of all, you will be provided with a training to cover all aspects of the platform operation and maximization. The training is remote (Skype + email + DVDs with interactive lessons + training website). You will not need to attend any lectures or seminars. You will learn the platform right from your home via Internet and your supervisor will make sure that you cope with every task. It is online, so you will be studying from home using personal computer with Internet access. It will not cost you anything, this training is absolutely free. At the end of the training you will receive an official certificate from Ausevro. It guarantees your further employment. *****n, it doesn’t matter that you are not in Kingston, ACT, where our company is located, because you will be trained remotely and after this training you will work for one of our clients which has back office right in your home area. The office of our client (your future employer) will be located close to your home, so you won’t have to travel at all. When you decide to change the employer, Ausevro will always provide you with other vacancies in your area. We guarantee that you will have a good choice of employers and we guarantee successful job placement right after the training. To sum it all up, Ausevro trains you remotely and sends to one of its clients. As the result you are employed by a bank or a telecom company with office near your home. – The training lasts for 15 business days, 1-2 hours a day and schedule is pretty flexible. – During the training you will be paid $400 on the 7th training day and $600 on the 15th training day. – During the first week of the training you will learn the payment systems supported by our platform. – Second week is dedicated to concept and structure. – On the last third week you will be learning the duties and work instructions. – Also on the third week supervisor will provide you with a list of your prospective employers – our clients that need Customer Service Representative and have office in your area. – You will have a privilege of choosing an employer, so you will choose the companies where you would prefer to work and supervisor will arrange interviews for you there right on the fourth week. *****, I cannot name the companies available in your area at this moment, because it is too early to request the list, but be sure to receive a list of 5-6 prospective employers that will be waiting for you after training. When you finally start working as a Customer Service Representative in one of the national companies, which uses our platform, you will have a guaranteed minimum salary of AUD $750 per week for the part time or AUD $1200 per week for the full time including full benefits package (life, medical, dental, vision, disability) and superannuation. Of course, you will not be required to travel and the office will be located conveniently. A Customer Service Representative will have a regular working schedule Monday through Friday with public holidays, regular paid leave and paid sick leave. *****, I cannot tell you the volume of hours necessary for full time or part time, because it depends on the employer. You will negotiate your schedule and hours during the interviews with employers. You should expect flexibility. You will get all necessary knowledge and experience during the training. However you should know that as Customer Service Representative you will process incoming inquiries related to our platform, guide users and monitor current operations within platform. You will not communicate with the company’s customers or users directly but company’s staff only and you will report to the local senior manager of the company. Of course you will not be making any cold calling or sales, you will only help the local staff of the bank or telecom company with the system issues as our certified specialist only. This is a strictly customer service role, not technical, and it doesn’t involve any sales. I hope it’s clear. *****, the training can be started at any time on any week day, so we are ready as soon as you are. The sooner = the better. There is no interview or meeting required to start the training, because this is remote training and we certainly do not interview the training candidates. You are not employed right away, you only start the online training. Of course, you will be interviewed after the remote training before official employment. You will have face-to-face interviews with our clients right after the training. If you are already willing to commence, then I have few questions for you. Are you ready to start full-time? What are your strengths and how might they relate to this role and the company? What tasks do you really not enjoy doing? How do you motivate yourself to do them? What do you see yourself doing in 3 years from now? Have you had to deal with conflict at work? How did you handle it? What would you do differently? I am going to discuss your candidature with management as soon as I receive your answers. Please tell me the best phone number and time to contact you in case of any question? Thanks for that – I will get back to you shortly. In the mean time, I have a couple of questions. Is there any cost involved with the training? Do you have a number I can contact you on if I have any other questions whilst I am filling out the questionnaire you included. A lawsuit filed in New York alleged that ScamFraudReport.org is own by Brandon H. Mushlin of Bulldog Capital Funding, LLC, a division of Bulldog Capital Group. We are a group or professionals located in Australia, Asia, Ukraine, UK and US that formed in 2002 who were once burned by some individuals, companies and their fraud and scam schemes. We do not want you to experience same. We are making it our Mission to ensure this doesn’t happen to you! ScamFraudReport is constantly growing and expanding due to amount of bad business ethics we see continuing across the world. Multiple complaints come in daily, however we try to limit the posts on this site to those in the Financial Services Sector or “White Collar Crimes” until our staff can fully address other areas of scams and frauds our viewers are experiencing. It is our goal to expose fully enough details for a viewer to make their own educated guess on whom not to work with. 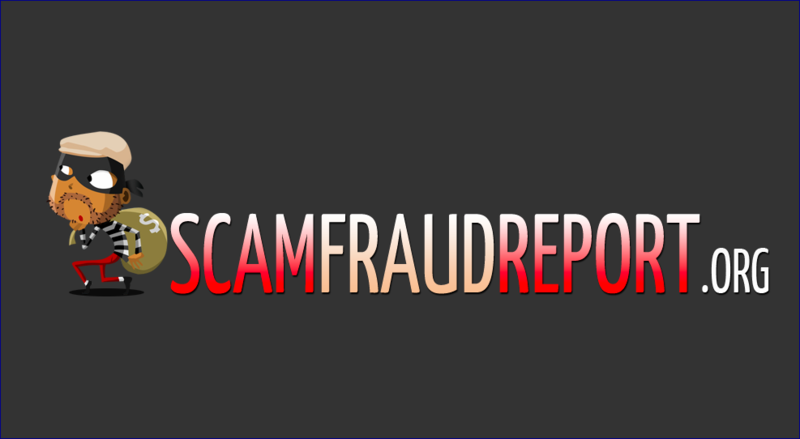 ScamFraudReport spends many months researching, collecting data, contacting appropriate parties and basically doing our own internal due diligence on any complaint or report filed on an individual or company before we post any article. While other sites may allow their post to go live instantly so that the user may find immediate relief, we find that the individuals listed on our site have very in depth relationships and connections internationally that require us to take our time posting. You will notice our Reporting Style fits that of traditional reporters and reports required by the proper authorities. WHO was and is (known accomplices) involved? WHEN it happened and in what sequence? WHERE it happened, all known locations? In addition, from time to time we will post free content, news, articles, updates and shareware from various sites, resources or government sites to ensure that our viewers are seeing all that is available. Whenever we do post these articles and information we always provide the unaltered original format and provide appropriate links and credits to the Authors or Site Owners. Should you find your article or content posted within this site and would like for it to be removed, feel free to contact us directly on our contact page, mention the post or blog title and the date of the posting, and we will remove it immediately. By viewing and using our site, you agree to the terms and conditions located within and fully understand that this site can and will change from time to time. So please – keep visiting our site before dealing with some people you do not know in the Financial Services Industry! Peter A. Shamoun , Alfred J. Zaccagnino , Samarian Group, LLC and Leonard Barrie, Jr.
ScamFRAUDAlert is Trademark protected. We reserve the right to request any user or group to refrain from the use of word or words that infringes on our trademark. Please cease and desist the use of “scamFRAUD” in any form in the promotion [scamfraudreport.org] on the web address describe and across all platforms which you control or have access to. The word “scamfraudalert” is protected under US PATENT and TRADEMARK OFFICE. The use of the words “scamfraud” infringes on my trademark.